Designed to sit above freestanding or wall-mounted home theatre satellite speakers, the new KEF R50 adds the all-important vertical sound dimension that allows you to enjoy at home the staggeringly realistic 3D sound image that Dolby Atmos creates in cinemas. 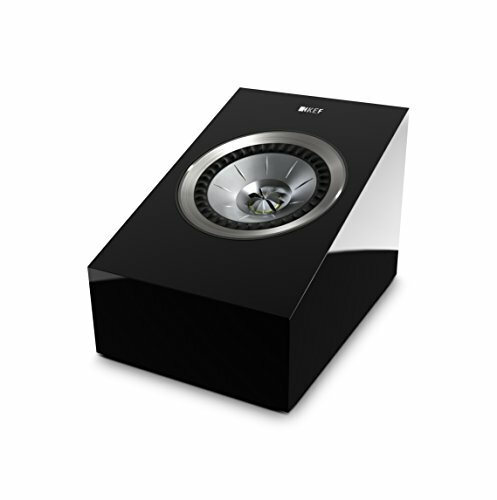 KEF's R50 features the latest and most sophisticated 'sit anywhere' Uni-Q driver array beaming the sound upwards to envelope you in a breathtakingly precise multidimensional soundscape. Integrating perfectly with our R Series, Q Series and Reference ranges aesthetically as well as sonically, the closed-box design of the R50 is built around the Uni-Q array developed for the revolutionary KEF Blade. KEF engineers have perfected a way of beaming the sound upwards so that it's reflected by the ceiling to replicate the vertical dimension in Dolby Atmos recordings. If you have any questions about this product by KEF, contact us by completing and submitting the form below. If you are looking for a specif part number, please include it with your message.